When it comes to meat and cheese gifts, it makes sense to find one filled with the best gourmet food gifts. Our Artisan Meat and Cheese Gift brims with delights from the Pacific Northwest and beyond, including award-winning cheeses such as Rogue Creamery® Crater Lake® blue cheese and Sartori® BellaVitano Gold® cheese, along with savory accompaniments like lemon dill smoked salmon and handcrafted Napoli salami from Olli. 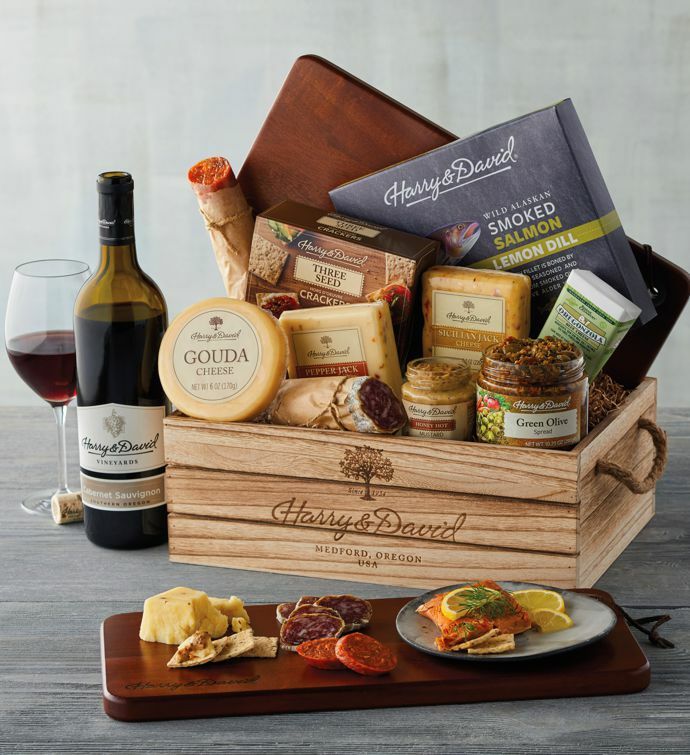 This gift also includes an elegant cheese slate featuring pear artwork for a beautiful presentation and a bottle of Harry & David™ 2015 Cabernet Sauvignon.